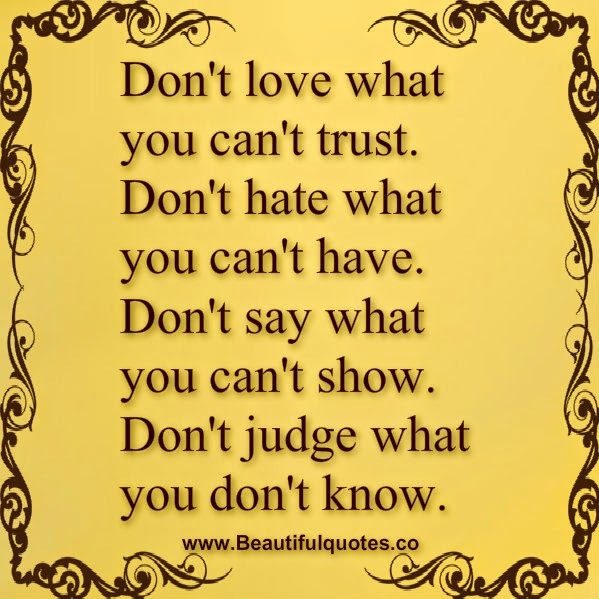 "Don't love what you can't trust. Don't hate what you can't have. Don't say what you can't show. Don't judge what you don't know."